In 2016 we undertook a wonderful summer project bestowed to us by a global cosmetic brand. The celebration was to be their most impressive to date and a chance to give their guests a truly unique and unforgettable experience. 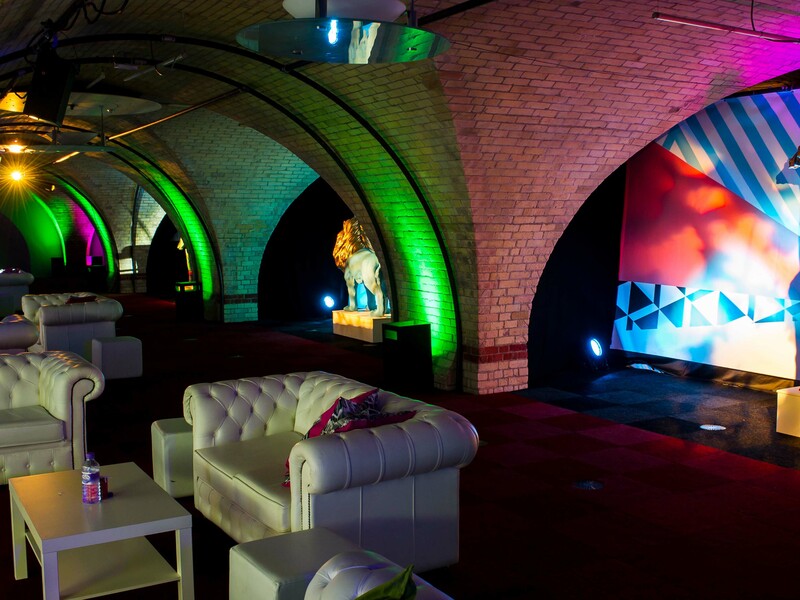 Our Client held their event at Old Billingsgate in the heart of London, a venue that surely reflected their ambition; its scale and versatility alone made this a monumental task with each floor showcasing a different brand with its own unique style and vision. 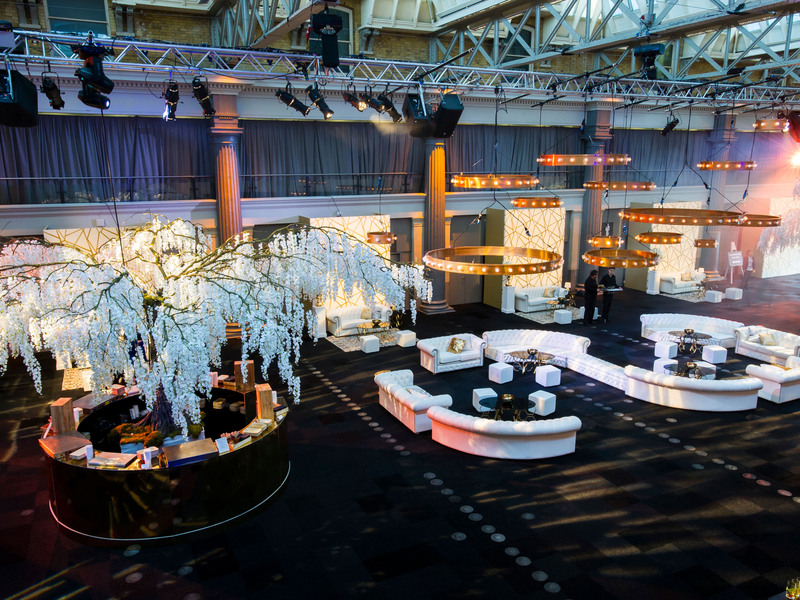 It was our pleasure to design these spaces for them, working closely with Branchout Productions LTD and Limelight Lighting to produce a seamless event that exudes prestige. 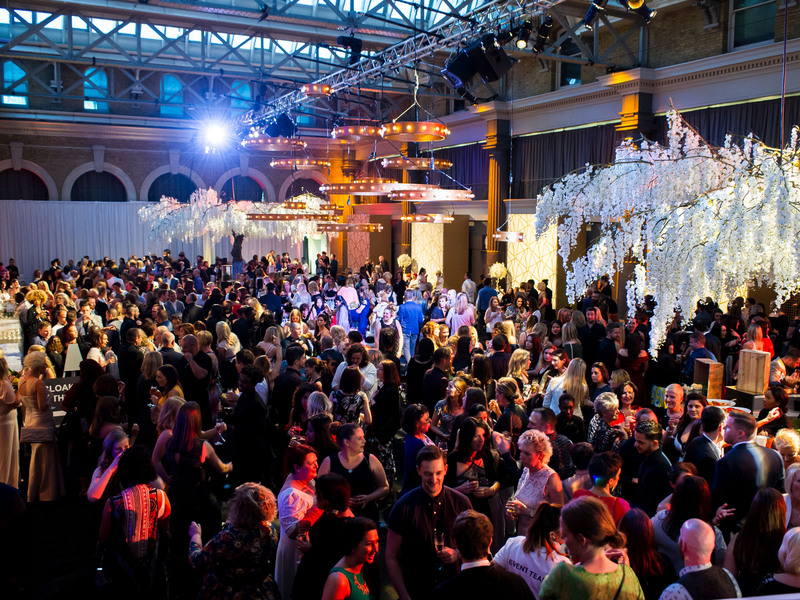 The grand hall – 2610 m2 of remarkable historic architecture was our canvas for the reception. We envisaged classic décor with a timeless gold and white colour palette to represent the brands core following. Clusters of gold circular chandeliers were suspended from the roof to create a warm glow, while the two huge wisteria trees created a beautiful focal point for the space. We had a lot of fun designing the vaults. The Lead designer on this project used her unique interpretation of that summers trend to exhibit a bold and contemporary look that completely transformed the space. Large hand painted neon animals were installed against colourful geometric backdrops while vivid lighting bounced off of the playful décor and contrasting industrial shell to create the dramatic colours and overall ambiance. Transform even supplied a live graffiti artist to paint a mural in the gallery whilst the party was in full swing..